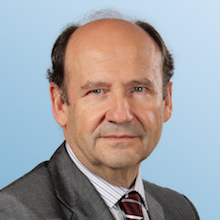 Jesús is Partner at Arthur D. Little’s Madrid office and is responsible for the TIME (Telecom, IT, Media and Electronics) practice in Spain. He is also leader of our Global Cloud Competence Center, working in particular on the impact of cloud-, virtualization- and software-defined network carriers (NFV/SDN) and customers. Jesús possesses a wealth of experience, having led engagements in Business Strategy and Corporate Finance, as well as Operations and Information Management. He has worked with clients developing effective business strategies across a range of TIME industries. These engagements have included helping senior management to reposition and see through portfolio restructuring, as well as adopt new technologies to gain competitive advantage. Specific industries in which he possesses hands-on experience include fixed-line and mobile operators, ISPs and Power line Communications operator launches at electric utilities. In Corporate Finance, on behalf of lenders and acquirers he has led a number of transaction advisory engagements; these have included numerous TIME deals in fixed line, Mobile, Radio/Broadcast, Internet Service Providers and Technology and Systems Integration companies, as well as Travel deals for traditional and online tour operators. In each case he sought to provide comfort to lenders and potential investors on the merits and risks of investment. For his clients, he brings considerable first-hand experience, driving complex operational change. He has led numerous engagements in business transformation projects, including PMIs, process reengineering and information systems improvement. Specific areas in which he possesses considerable expertise include: Customer Management, Channel Management, Operations and IT and vendor management. In the banking sector in Spain, he has managed projects on mobile banking strategy, mobile payments, cloud, corporate network redesign and customer experience. Before joining Arthur D. Little in 2000, he was Director of Business Development and Alliances at Oracle for EMEA (Europe, Middle East and Africa) in the Communications and Media Industry sector. Prior to this, he was Director at Telefónica Sistemas. There, he started and managed an important IT network transformation program at Telefónica. The program was meant to support Network Planning, Network Design, Investment planning, Construction, Provisioning, Operations and Maintenance.